Why does Afghanistan need railroad? At the end of October of 2009 the state-owned railroad company of Uzbekistan became the winner of tender, organized by the government of Afghanistan for the construction of the Hairaton-Mazar-i-Sharif railroad part with the length of 75 kilometers. At the end of November $129 million project was approved by Uzbek government. The construction will start soon and will be accomplished in 2011. The length of the railroad part is quite short – only 75 kilometers. However, this railroad is very important for Afghanistan. Nearly the half of import volume to Afghanistan and significant volume of humanitarian aid go through the port of Hairaton at Amu Darya; therefore, the launch of new railroad will allow substantially increasing the freight transport. The idea of such railroad construction is not new. 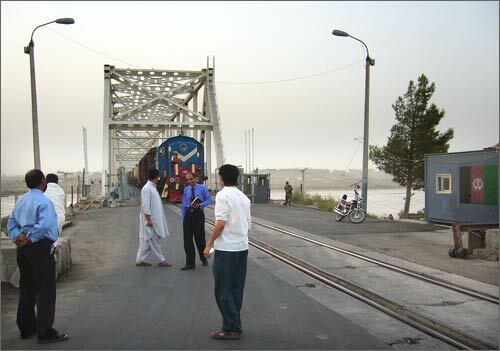 The presentation of 80-kilometer long railroad from Termez to Hairaton and Mazar-i-Sharif, the part of US plan on reconstruction and modernization of transport lines in Afghanistan, took place in August of 2004 during the visit of Afghan Foreign Minister Abdullo Abdullo to Tashkent. 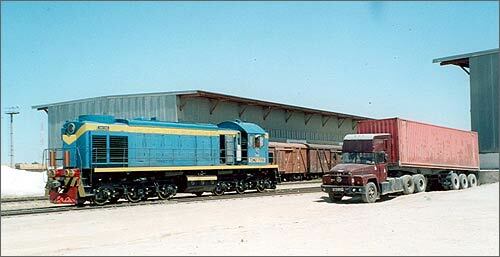 Americans were interested in connecting Afghanistan with the well developed railroad transport infrastructure of Uzbekistan – at that time major strategic ally of US in Central Asia. In its turn, Uzbekistan was also interested in the establishment of trans-Afghan corridor with the opportunity to access international ports of Iran and Pakistan through Mazar-i-Sharif, Shibergan, Great and Kandahar. At the same time, the feasibility studies were prepared in cooperation with American companies. In May of 2005 the world witnessed the Andijan massacre that postponed the strategic venture for few years. On the other hand, Uzbekistan has not lost its interest in the project in the last five years. Moreover, it went through decent preparation process. Specifically, since 2001 Uzbek companies have been building 223-kilometer long Tashguzar-Baysun-Kumkurgan railroad around Turkmen border. $447.1 million project connected central oblasts of Uzbekistan with southern Surhan Darya Oblast through Guzar range and provided access of the republican railroads to reach Termez. The line was launched in August of 2007. 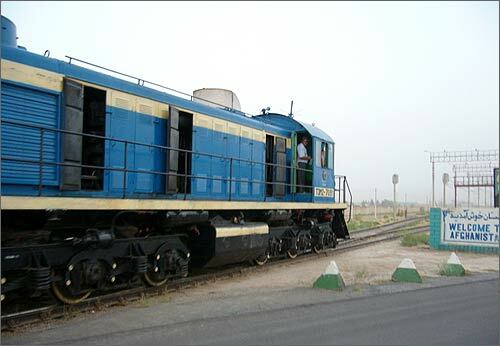 Hence, Uzbekistan has prepared its railroad infrastructure for the future integration with the first railroad in Afghanistan. Since summer of 2007 to January of 2010 (almost 2.5 years) the Uzbek government was waiting for the resolution of issue around the construction of Hairaton-Mazar-i-Sharif part. At the same time, Uzbekistan had ready capacities, involved in the Tashguzar-Baysun-Kumkurgan line. These are track-laying machine and other construction equipment, bought by Uzbekistan for $156 million thanks to lax loan from Japanese Bank for International Cooperation in 2001. Uzbek interest was also fueled by Pakistan. In December of 2003 Islamabad announced its readiness to start the construction of 170-kilometer long line from Pakistani frontier city of Chaman to Afghan city of Kandahar – the biggest in the south of Afghanistan. However, the political instability in Pakistan became the major obstacle for this infrastructure project. 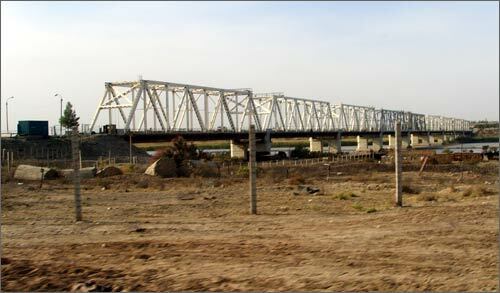 If Uzbekistan rebuilds this 20-kilometer long railroad part between Termez and Hairaton (this is mentioned in the Hairaton-Mazar-i-Sharif contract), both parts of the Termez-Mazar-i-Sharif and Chaman-Kandahar railroad will become the most important phases in the establishment of Trans-Afghan international transport corridor. In this case Uzbekistan will turn into biggest cargo transit terminal area in the region. "The economic side of the project is normal" Azhdar Kurtov, the expert of Russian Institute for strategic research, believes. – "On one hand, the higher communication between the neighboring countries the better it is. It would be unreasonable to see Uzbek rejection of communication building since the republic makes money here. Speaking of Afghanistan, the country is better off when more money is invested in the infrastructure. Hopefully, this railroad will also carry out trade functions". On the other hand, the expert is concerned whether this trade needs railroad, but not automobile road. "Let us say, in the future we will see stable Afghanistan. The country will inevitably have to trade with outer world. The railroad needs big trade volume. In this concern, China is more important for Afghanistan and also it matters how well Uzbek network will be linked to railroad communication in China". In the opinion of Richard Norland, the US Ambassador in Tashkent, Uzbekistan must gain substantial benefits from economic cooperation with Afghanistan. In the future the railroad from Hairaton to Mazar-i-Sharif may become "the window for all Central Asian countries to the sea, markets and ports of South Asia", he says. Sanobar Shermatova, the expert of RIA Novosti and Ferghana.Ru, also shares his opinion. "There are two benefits: the processing of military and technical supplies, and purely commercial goals. I believe these tasks will be successfully performed". The expert believes that in the north of Afghanistan there are projects that can be accomplished with the assistance of Tashkent. "The northern Afghanistan has been the area of Uzbek influence both since the Soviet period and independence. The northern regions of Afghanistan – Shibergan, Mazar-i-Sharif were buffer zones: General Dostum worked in tandem and under control of Uzbek government and did his best to secure this part of Afghanistan from military operations, not allowing Taliban in this region. These northern territories, bordering Uzbekistan and Tajikistan, were the most peaceful in the country; Northern Afghans were better off than southern regions, devastated by war". Tashkent realizes that economic aid to northern Afghanistan will help preserve the stability of borders. In the opinion of Sanobar Shermatova, this is top priority task for Uzbekistan today. According to Arkadiy Dubnov, the international observer of Moscow-based Vremya Novostei newspaper, Uzbekistan was the major base of Soviet intervention in Afghanistan, especially in the first phase. It seems very essential that for USA Uzbekistan also becomes one of such bases. "The agreement between Washington DC, Tashkent and Kabul, saying that Uzbekistan is granted the contract for the construction of de facto the first railroad in Afghanistan, looks essential continuation of plans, designed in the Soviet times. At that time it was planned to build the railroad to Afghanistan through Uzbek city of Termez". It is very profitable for Uzbekistan to become the contractor of this project: both economically and politically. "For Tashkent this is an excellent opportunity to make money and strengthen the influence in the northern regions of Afghanistan", says the prominent expert on Central Asia. 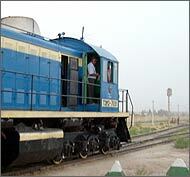 "It is interesting to note that Uzbekistan has contact not only in the construction of the railroad. Tashkent also wants to participate in the construction of automobile road from Herat to Kandahar", the expert notes. "Speaking of benefits for the United States, they are also obvious: cheap Uzbek labor, construction materials and infrastructure, built by Uzbekistan. It is easier for Americans to enable Uzbeks to build the railroad and this communication line will effectively operate for the supply of American cargo to central Afghanistan via the Salang passage", Dubnov highlights. On the other hand, once all post-Soviet republics of Central Asia approved the idea of land "corridor", controlled by NATO, many experts noted that military operations of Taliban may be exported to the north of Afghanistan with the purpose to break new transport lines. Perhaps, active involvement of Uzbekistan in cooperation with West on Afghanistan will undermine the security in the region and cause a threat to Uzbekistan? In his recent interview to Economic Review, the Tashkent-based magazine, Richard Norland notes that, unfortunately, northern transit networks may become the target for terrorist. However, USA is not going to leave partners. It is expected that Uzbek workers, building 75-kilometer long Hairaton-Mazar-i-Sharif railroad will be under NATO protection. "NATO and other countries pay very serious attention to the issue", the Ambassador Norland notes, underlining those Western countries, running military operations in Afghanistan, "are working on the resolution of the issue". Therefore, it is obvious that the implementation of big economic and political ambitions of Tashkent mostly depends on whether the anti-terrorist coalition allies are able to preserve stability in the northern Afghanistan.